Join the discussion on our forums! Come discuss Ray of Frost over in our dedicated Ray of Frost discussion topic. Twinspell Freeze a minion. 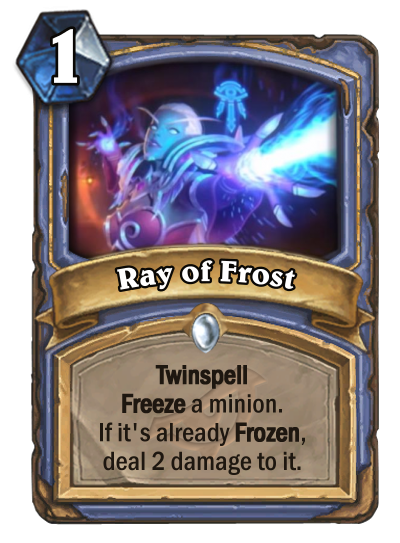 If it's already Frozen, deal 2 damage to it. does the second copy trigger quest?